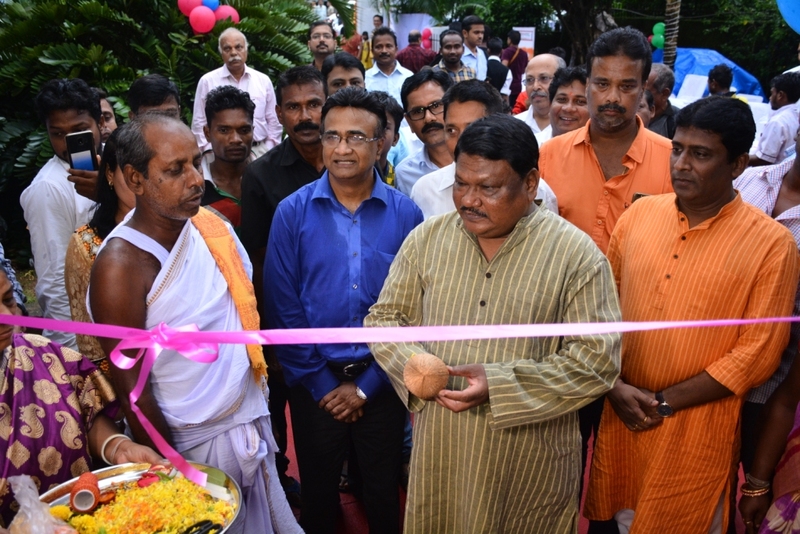 Bhubaneswar: Shri Jual Oram, Hon’ble Union Minister for Tribal Affairs, Government of India inaugurated 43th “TRIBES INDIA” Own Outlet at Plot No- 3/A, Satyanagar, Near “WESTSIDE”, Bhubaneswar-751015. TRIFED is presently operating through a Retail chain network of 42 Own Outlets, 33 Consignment Outlets and 14 Franchise Outlets located across the country, through which it promotes and markets a wide range of ethnic and traditional tribal handicraft and handloom products, which include dress materials, shirts, kurtas, kurtis, home furnishings and many other gift and home décor tribal products. TRIFED undertake marketing of tribal handicrafts and handloom products and MFP development initiatives for providing sustainable livelihood. While sourcing of handicrafts and handloom products help create livelihood opportunities by expanding the supplier base, efficient marketing of these products with scale up volumes not only helps establish market for such tribal products on a sustainable basis but also help in enhancing the income of tribal producers associated with TRIFED as suppliers. Opportunities are created to market tribal products sourced from tribal producers by establishing a network of TRIBES INDIA outlets, organising Aadi-Mahotsavs/exhibitions and e-commerce portals. All these initiatives result in creation of livelihood opportunities and additional income for those associated with this initiative. Under marketing of tribal handloom and handicrafts initiatives, a drive to expand supplier base has been initiated and simultaneously, efforts have also been initiated to establish and promote a platform under the brand “TRIBES INDIA” so that marketing opportunities are created on a sustainable basis. TRIFED is in the process of expanding its outlets all over the country and this outlet at Bhubaneshwar is the next step in expanding the network of TRIBES INDIA. This way TRIFED not only promotes the Tribal Art and Crafts but also preserves the Rich Indian Cultural Heritage for the next generation. Congratulating TRIFED for a sterling performance in Retail Operations, Hon’ble Union Minister for Tribal Affairs commended the efforts of TRIFED for promoting tribal products through network of TRIBES INDIA Showrooms, Aadi Mahotsavs/Exhibitions and various e-commerce platforms namely, Amazon, Flipkart, Snapdeal and GeM which provide a window to National & International markets. The organisation has set up an ambitious retail sales target of Rs. 50 crores to be achieved during the current financial year and this 44th new Outlet will help them in doing so. The Minister stated that no stone should be left un-turned in empowerment of tribals through trade and all steps be taken to ensure that they get opportunities for livelihood creation and income generation. The Hon’ble Minister also lauded TRIFED for organising Aadi Mahotsavas across the country, where tribal artisans get an opportunity to sell their products to customers and thereby get directly benefitted. Hon’ble Minister also informed about the Minimum Support Price and Value Addition Scheme titled “VANDAN” for Minor Forest Produces which has now been extended to all States and under which Value Addition has been given high priority. Efforts have been initiated to take this programme to the next level, which included strengthening of Haat Bazar infrastructure including creation of network of a procurement centres, Godowns and other logistic support systems and appropriate mechanism has been developed for pricing of Minor Forest Produces so that tribals can get best price for their products. 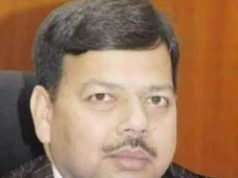 The Managing Director, TRIFED, Shri Pravir Krishna extended vote of thanks to the Hon’ble Union Minister and other dignitaries, members of the Electronic and Print media and valuable customers, who were present. He also thanked his team for the painstaking efforts made for operationalising this Outlet in such a short duration. 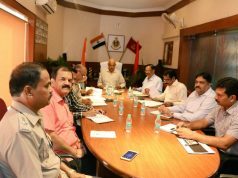 He assured that no stone will be left unturned to achieve the targets set for the current financial year.